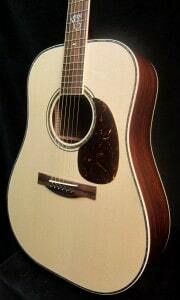 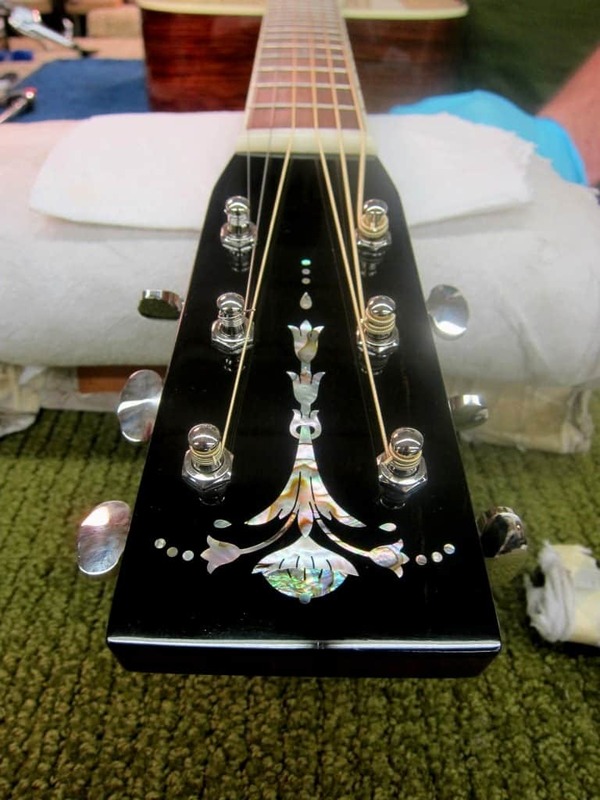 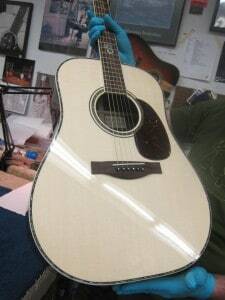 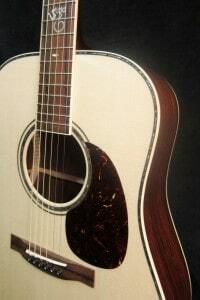 Special features: Adirondack bracing attached w/hot hide glue, Abalone rosette and top purfle, Spruceana fingerboard and bridge, Torch peghead inlay, 42-style fingerboard inlays. This guitar was brought to the 2013 NAMM show to debut our use of Spruceana Rosewood. 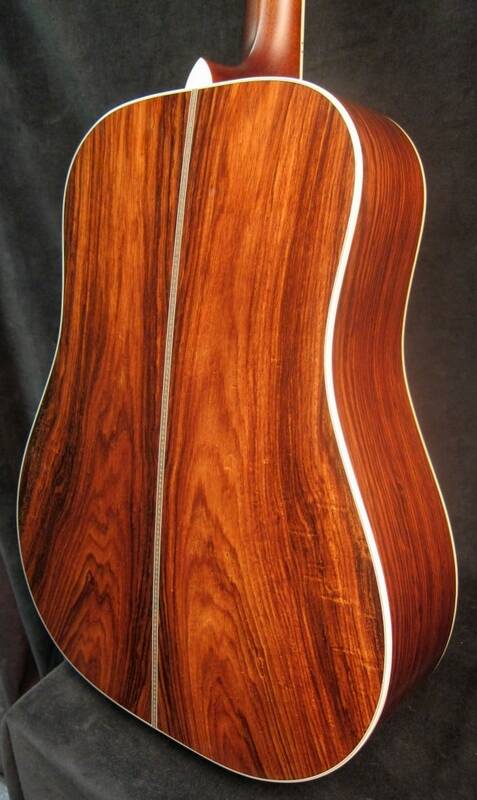 Coming from the same family as Brazilian Rosewood, Spruceana is big and bold with a powerful and clear tone. It is articulate, but not bright, and makes a great pairing with Spruce. 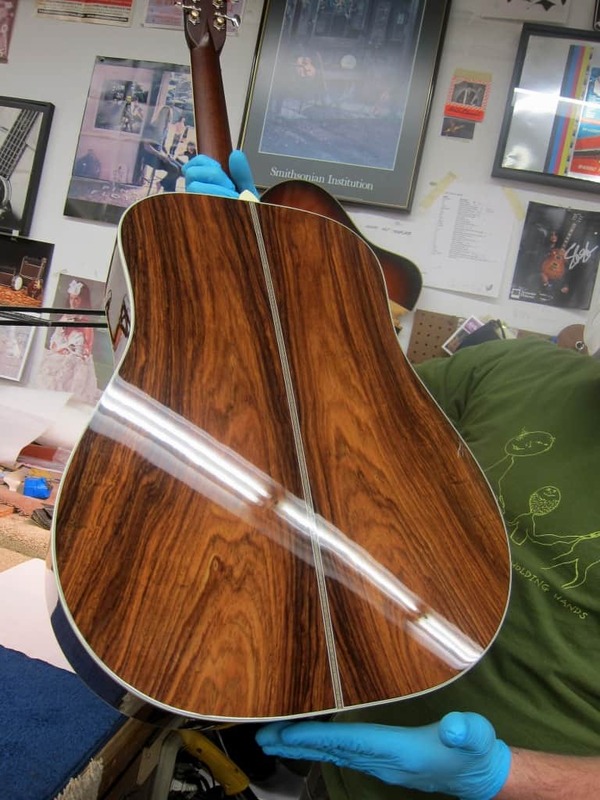 In addition to it’s fantastic tonal qualities, Spruceana is not as rare as Brazilian Rosewood, and therefore comes with a lower price tag. It is responsibly procured from old growth, downed trees up to a century old.